"'Aeterni' is presented with a simple but impressive artwork, and with a very nice booklet ... and the contained music is of equal thickness. The album, composed of seven tracks, of medium-long duration, opens with 'Datura Noir', and immediately you can see a great taste for the symphony and the decadent melodies." "… a very well thoughtful disc … made to sound differently to others … talent and originality are indisputable … if you like Black Metal with a touch of rarity then this release of ATRIUM NOCTIS is going to interest." "Comparisons to Graveworm, Stormlord or even Dimmu Borgir are certainly not to be dismissed out of hand, but the Cologne have long since created their own style, so nothing should get in the way of a big leap forward." "Officiating in a melodic and epic Pagan Dark / Black Metal, ATRIUM NOCTIS offers us with 'Aeterni' a brilliant anthology of their creative talents and many different influences, including among others the Gothic Doom, Melodic Death, Pagan Folk and Classical Music … the richness of the compositions … as well as the diversity of the arrangements are reminiscent of the best periods of Dimmu Borgir …"
"ATRIUM NOCTIS succeeds here in the symbiosis of Gothic suspense, discreet symphonics, variable vocals, rattling grooves and courageous attacks in a harmonious manner ... this nocturnal trip conveys in its detailed, pathetic, then again heroic striding or thoughtfully restrained manner a comprehensive listening pleasure with depth." "… selection of epic sounds that alternate each other to bring the atmosphere of gripping, dark, pain … harmonization is packed well … quite majestic … feels beautiful even though more dark sound …"
"… a natural evolution that further dignifies their work … mainly by the band's mixtures of styles that require richness in arrangements and a lot of creativity …"
"… symphonic Black Metal in which the atmosphere of the nineties is prominently present … the album sometimes has a pompous sound, with some theatrical elements … ATRIUM NOCTIS sticks to the values ​​of the nineties and that certainly gives them a certain charm." 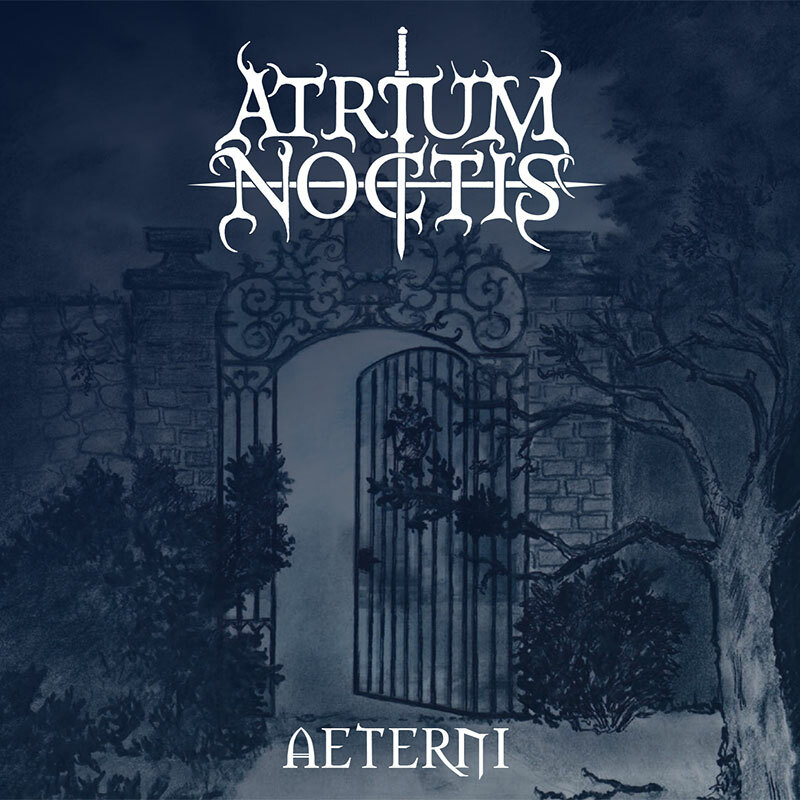 "ATRIUM NOCTIS have a lot of good ideas ... a certain cold that suits the concept well ... fans of Dimmu Borgir, Troll, Old Man's Child, Graveworm, Catamenia or Equilibrium could discover a little, mystical, if a bit odd, insider tip …"
"There are discs that more than others are born to recall the past, 'Aeterni' is one of these … manages to show what is right and what should always be done when one firmly believes in something." "… a lot of heart and soul was invested here and created a world of its own." 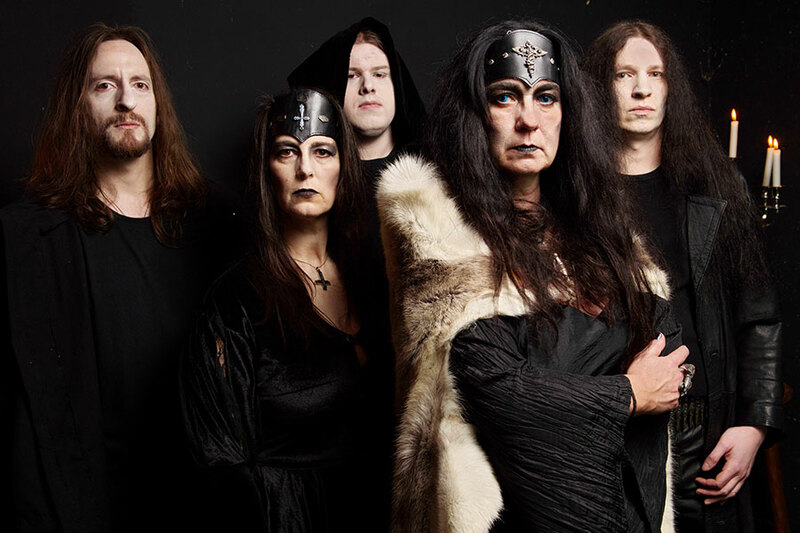 "After a few minutes your mind will go out to Dimmu Borgir, but I guess that they sound a bit extremer … ATRIUM NOCTIS does focus more on the dark atmosphere." "If there are any real new discoveries in Dark Metal, ATRIUM NOCTIS undoubtedly count to that ... should attract some attention with this album in the autumn. No flat Metal attitude, but carefully composed pieces which are both textually and musically demanding, are presented on 'Aeterni'." "Among my several auditions to 'Aeterni' I’ve also listened to the previous 'Home' and that made me have a notion of the band’s evolution regarding composition. It’s perceivable the presence of classical music in their musical roots that they can easily combine with other sonorities without them losing their essences. The band took 7 years to release a new album but has used well that long period to refine the final result; glad they’ve returned and with such quality." "'Aeterni' is a Metal album with basic keyboard parts that creates bombastic atmosphere at some points but mostly, it is element that surrounds music with deep, dark aura and sort of melancholy." "'Aeterni' captivates with beautiful melodies from the first minute ... there is no boredom due to the many rhythmic changes and themes in the songs. 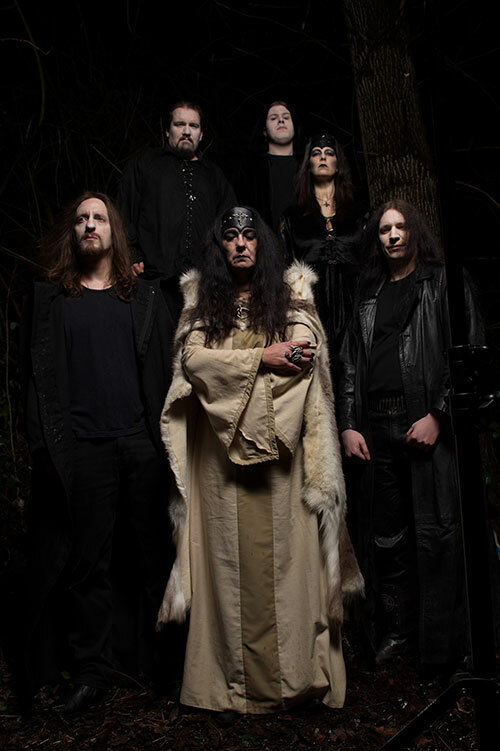 In the opener 'Datura Noir', for example, ATRIUM NOCTIS create something that many of their genre representatives do not succeed on an album: a wonderfully dark and gripping atmosphere with a driving rhythm ... Pagan Black Metal fans who do not want always hear the usual flute should definitely risk an ear here, it's worth it!" "… ATRIUM NOCTIS are broadly based on the popular in the 90s, symphonic Black Metal, which seems almost extinct these days." "A group that moves into the so-called black symphony, is made up of musicians who have clearly been exposed to classical music education in their country, which from the beginning removes them from style faults and structural errors. They sing in their mother tongue, become interesting in their imposing and lively moments." "… the devilish beauty of 'Aeterni' is upsetting … we are not used to that … beauty belongs to angels, not to demons, as common sense tells. ATRIUM NOCTIS prove them wrong." "A band that aims to escape from the normality … ATRIUM NOCTIS have two great trumps on 'Aeterni': the vocals pass on an enormous amount of desperation and agony to the neat instrumentalists … and mainly also the keyboards that go from the piano until the technopop sonority of Human League." 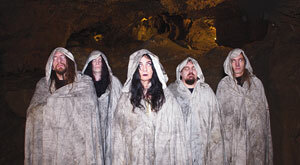 "ATRIUM NOCTIS is a Symphonic Black Metal band who clearly disdain limitations … for the black and occult vision of the band has conjured complex and substantial musical content … 'Aeterni' is worthy of any serious Black Metal fan's collection … and I entreat to enter their mysterious world … they are absolutely dedicated to their music and their art." "... has something mysterious about it and forms with the melodic instrumentality a set fantasy world ... more varied with numerous arrangements and increasing sound depth ... partly a bit inclined towards the Pagan, so that it becomes more accessible to less blackened ears ... but the driving force behind the whole thing remains very clear and unrestricted Black Metal ... sometimes amplified by elf-like vocals and the almost omnipresent, spherical melodies." After a long and profound work, Cologne-based Dark Metallers ATRIUM NOCTIS have completed their studio work on the album successor to the 2010 "Home". For the current album "Aeterni" the personnel-reinforced formation around Hydra Gorgonia went partly new as well as extended artistic ways. The compositions are often reminiscent of the music of Dimmu Borgir. In the actual core, therefore, still devoted to the symphonic BLACK METAL, also sometimes bearing elements from the field Pagan Metal were included. In particular, influences from Classical music give the new output "Aeterni" a distinctive autonomy. The fresh songs, with a thick dash of hardness, are characterized by massive dark atmosphere. There are also melancholic, sometimes hymnic and soulful passages. Epic and colorful nuances enrich the whole thing in addition. 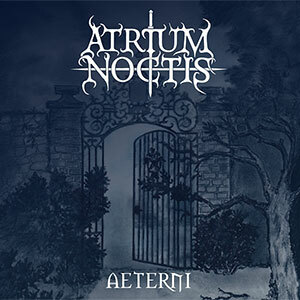 ATRIUM NOCTIS love great soundscapes and have largely broken away from the genre boundaries of Black Metal to create tracks like "Datura Noir" and "Die Nacht des Falken". Several singers are involved, what together with German lyrics is a guarantee for wide vocal variety. Completely dedicated to the melody, the collaboration of the band is based on two guitarists. The band members have different musical backgrounds: in this troupe are people who have played Metal all their life, but enjoy a lot of other genres. Likewise a deep black soul from Black Metal, a singer with classical education and two studied musicians, who are open for everything. You hear and feel: They all lost their hearts to the music of ATRIUM NOCTIS. The new songs were mastered by the well-known Martin Buchwalter, who already worked as a producer for established bands like Accu§er, Destruction, Suidakra, Tankard, Architects Of Chaoz and Perzonal War. The front cover and CD booklet have been made by a painter according to the band's exact ideas. With "Aeterni", the Cologne are increasingly striving for authenticity and their own roots. Likewise, they do not emulate any band. ATRIUM NOCTIS can not be dictated or run after any trends. They just make their own and completely individual music. Official release date for "Aeterni" was September 9, 2017. On April 23, the Cologne formation around keyboarder Hydra Gorgonia released their new music video for the song "Zerberons Erwachen". Sascha Krüger of Imotion Factory was responsible for the shoot. It was filmed in a real stalactite cave and in the middle of the forest in a clearing that unfolded its special appeal through trees that had fallen from the storm. 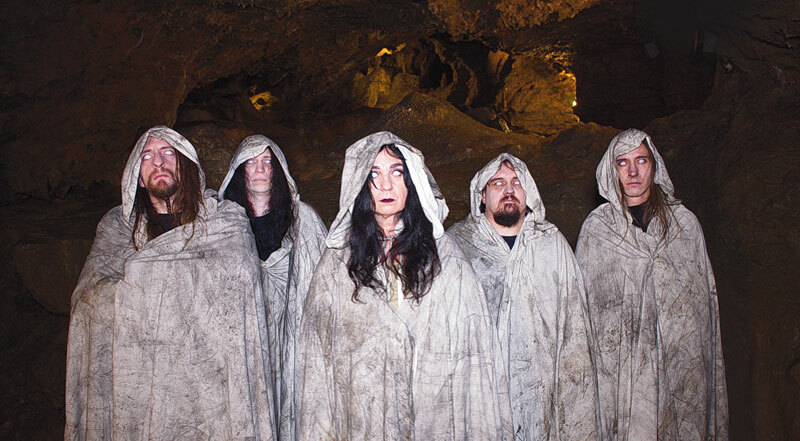 While many bands in the Black Metal genre are constantly experimenting with new stylistic devices, ATRIUM NOCTIS continues to rely entirely on a traditional, mystic-occult performance. The whole thing has been recorded under arduous circumstances at the beginning of January 2018 in the stalactite cave Wiehl, under a forest in the mystical Siebengebirge. The cave, located 50 km east of Cologne, is about 20 meters underground, there prevail about 8 degrees Celsius. Concerning the content of their new music video, ATRIUM NOCTIS hope that the inclined spectators will be able to surprise as mystically as possible - at the visualized threshold between this world and the hereafter whose boundaries are thematically blurred in "Zerberons Erwachen".